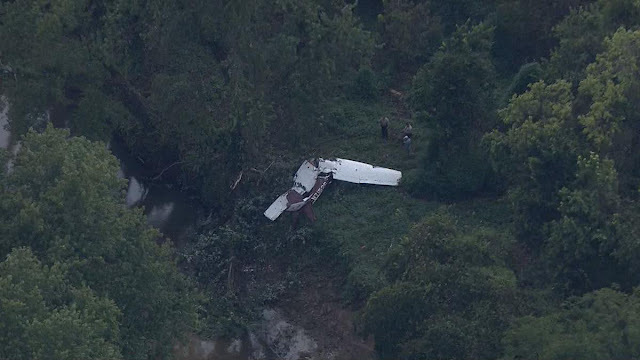 On September 20, 2018, about 2230 central daylight time (CDT), a Cessna 150H airplane, N7152S, impacted a tree-covered swamp after executing a go-around in dark, night conditions near the Festus Memorial Airport (FES), Festus, Missouri. 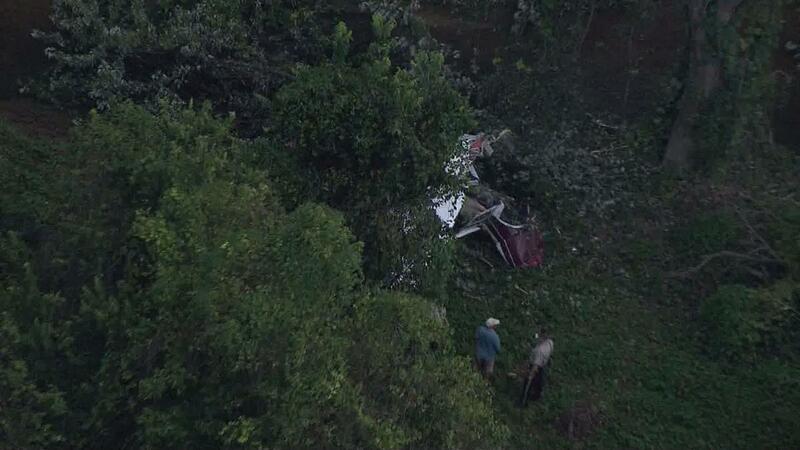 The left seat air transport pilot and right seat passenger sustained fatal injuries. The airplane sustained substantial damage. The airplane was registered to a private individual and was operated by the pilot under the provisions of Title 14 Code of Federal Regulations (CFR) Part 91 as a visual flight rules personal flight. Visual meteorological conditions prevailed at the time of the accident, and no flight plan was filed. The flight originated from the Greensburg Municipal Airport (I34), Greensburg, Indiana, about 2015 eastern daylight time (EDT). Family members of the pilot reported that the purpose of the flight was for the pilot to travel to Collins, New York, to retrieve the airplane and bring it to FES. The airplane was going to be used for flight instruction for the pilot's son, who was also traveling with the pilot at the time of the accident. The pilot worked professionally as a commercial airline pilot and previously as a helicopter air ambulance pilot. The airplane was owned by the pilot's father and was stationed at a private residence, with a private airstrip. The pilot's father and the pilot had an "open-ended" agreement that the pilot would eventually travel to Collins, New York, to retrieve the airplane. On September 20, 2018, the pilot traveled from St. Louis, Missouri, to Buffalo, New York, via commercial airline. The pilot and his son were picked up from the airport by a family member and transported to the private airstrip. The pilot departed from the private airstrip about 1400 EDT. The cross-country flight consisted of travel through Pennsylvania, Ohio, Indiana, and Illinois. Receipts provided by a family member and found in the wreckage showed that the pilot had refueled the airplane three times during the trip. The first refueling stop was at the Chautauqua County/Dunkirk Airport (DKK), Dunkirk, New York, at 1434 EDT for 13.4 gallons of 100LL fuel (commonly referred to as "avgas"). The distance between the private airstrip in Collins, New York, and DKK is about 19 miles. The second refueling stop was at the Knox County Airport (4I3), Mount Vernon, Ohio, at 1753 EDT for 16.56 gallons of 100LL fuel. The distance between DKK and 4I3 is about 226 miles. The third refueling stop was at I34, for 13.62 gallons of 100LL fuel at 2006 EDT. The distance between 4I3 and I34 is about 174 miles. The distance from I34 to FES is about 275 miles. During the trip, the pilot was communicating with his fiancé via text message from his cellular phone. The pilot communicated to the fiancé that the airplane was experiencing a "small electrical problem" and he reported that his estimated time of arrival (ETA) would be determined "at the next fuel stop… just before dark." The pilot reported to her that the ETA for FES would be about 2215 CDT. He asked the fiancé to be stationed on the north end of runway 10 with a flashlight to help vector the airplane in for landing. The pilot directed the fiancé, "lights on the north end pointing north." FES has one asphalt runway, 10 and 19, that is 2,202 feet long and 46 feet wide. The airport lighting system at FES consisted of runway edge lights (medium intensity runway lights) along with runway end identifier lights. These types of lighting systems are considered pilot controlled lighting where a pilot can activate the lighting system while airborne by keying the aircraft's microphone a set number of times on the airport's common traffic advisory frequency. The lighting system can also be manually activated by a switch on the outside of the main hangar/office building at FES. A review of Federal Aviation Administration (FAA) Notices to Airmen (commonly referred to as "NOTAMS") data for the day of the accident found no malfunctions or failures of the airport lighting system listed for FES. The pilot reported to the fiancé that he would attempt to activate the airport lighting system with a handheld very high frequency (VHF) radio, but he was unsure if the radio had enough battery power to perform the task. The fiancé traveled to the requested area at the airport. She reported that the airplane was landing from the north to runway 10. In addition to the lighting provide by the fiancé, the main hangar/office building had one outside light on at the time of the accident. The pilot attempted to land, but she was unsure if the airplane touched down on the runway due to the dark, night conditions present that hampered her visual acquisition of the airplane. She reported that the airplane was "blacked out" and did not have any exterior lights on when it tried to land. The pilot executed a go-around procedure. The last text message from the pilot stated, "keep light on." After several minutes of not seeing or hearing the airplane, the fiancé tried contacting the pilot multiple times with no response. The fiancé contacted law enforcement about 30 minutes after the last text message was received. The Jefferson County (Missouri) Sheriff's Office initiated a search for the missing airplane working with multiple ground and air assets. Data acquired from the cellular phones in the wreckage were used to help determine the search area. The wreckage was located by air assets in a tree-covered swamp, near the Plattin Creek, on September 21 about 0740 CDT. The wreckage was situated about one quarter of a mile south east of the departure end of runway 19 and about 440 feet above mean sea level. The airplane was equipped with a Pointer 3000 emergency locator transmitter (ELT), Technical Standard Order 91 (operating on 121.5/243.0 megahertz). The U.S. Air Force Rescue Coordination Center at Tyndall Air Force Base, Florida, reported no ELT signals were received by their monitoring systems from the accident airplane. On September 22, the National Transportation Safety Board investigation-in-charge, two aviation safety inspectors from the FAA St. Louis Flight Standards District Office, and air safety investigators from Continental Motors and Textron Aviation traveled to the accident site. The investigative team hiked to the accident site and an examination was conducted on the airframe and engine. 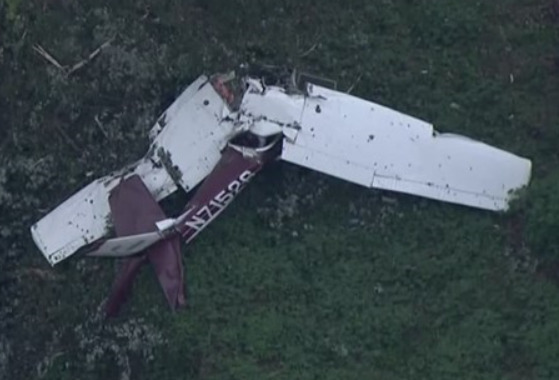 During the examination, no preimpact mechanical malfunctions or failures with the airplane were noted. 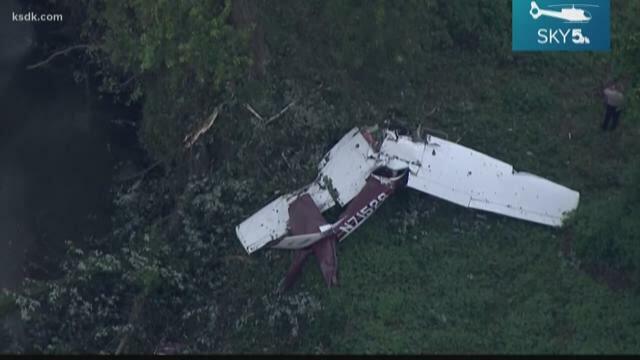 The airplane sustained substantial damage to both wings, the fuselage, and the empennage. 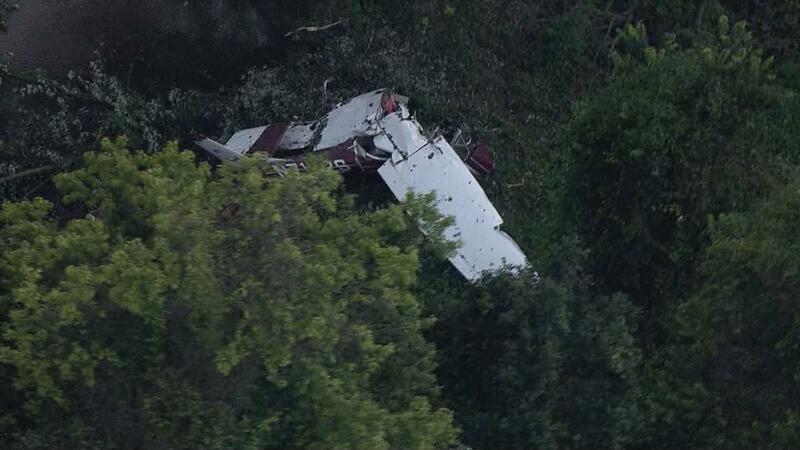 All structural components of the airplane were located at the accident site. No evidence of breaching was observed with the wings that held the fuel tanks. A total of about 2.25 gallons of fuel were extracted from both fuel tanks. The Cessna 150H pilot's operating handbook (POH) states that the maximum capacity for both fuel tanks is 26 gallons total (13 gallons in each tank). The POH further states that the usable fuel amount for all flight conditions is 22.5 gallons total and the unusable fuel amount is 3.5 gallons total. The alternator and voltage regulator were removed from the wreckage and were retained for future examination and testing. An examination of the maintenance records revealed no evidence of uncorrected mechanical discrepancies with the airplane. Two working handheld flashlights were found in the cockpit. The handheld VHF radio, two cellular phones, and an electronic tablet were recovered from the wreckage and secured. The U.S. Naval Observatory, Washington, District of Columbia, provided various sun and moon data for the day of the accident for FES. Sunset was 1902, and the end of civil twilight was 1928. Moonrise was 1656, and the moon transit was 2206. The phase of the moon was listed as, "Waxing Gibbous with 83% of the moon's civil disk illuminated." The two-seat capacity airplane, serial number 15067852, was manufactured in 1967. The airplane was equipped with a 100 horsepower Continental Motors O-200-A carbureted engine, serial number 67630-7-A. 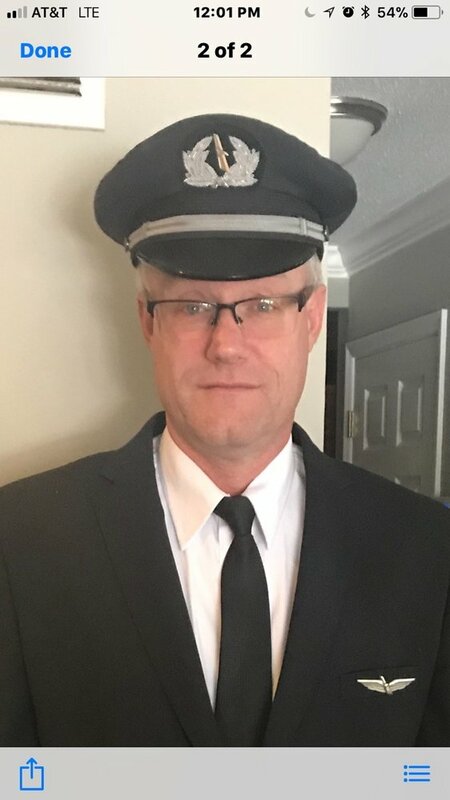 Michael Gunnar Metzger, age 56, died in the early morning of Friday, September 21st, 2018 when the Cessna 150 he was piloting with his son, Jacob Metzger, crashed while trying to land in Festus, Missouri. Michael was born on June 13, 1962 in Topeka, Kansas. He grew up around planes. Mike started flying when he was just 13 years old. From there, he joined the US Army. He later transferred to the US Air Force and finally to the Iowa National Guard. During this time, he also flew Medevac helicopters, most notably for the University of Iowa hospital. Once retired from the military, he began flying commercially for American Airlines. He was very active in the local aviation community where he lived, in Hillsboro, Missouri, and was a CO in the Missouri Commemorative Air Force. In his free time, he was absolutely devoted to his children. He would carry their pictures with him and talk about them to anyone who would listen. He was a true nature lover, and was always excited to talk about his hummingbirds and the waterfall he always wanted in his backyard. Michael is survived by three children, Aly, JC, and Shane Metzger, and his fiancée, Margo Smith. A gathering for family and friends to celebrate Mike’s life will be from 4 to 7 pm Tuesday, September 25, 2018, at Gay & Ciha Funeral and Cremation Service in Iowa City. His remains will be buried in his hometown of Collins, NY, along with those of his son, Jacob. A private family service will be held in New York this weekend. To share a thought, memory or condolence please visit the funeral home website @ www.gayandciha.com. 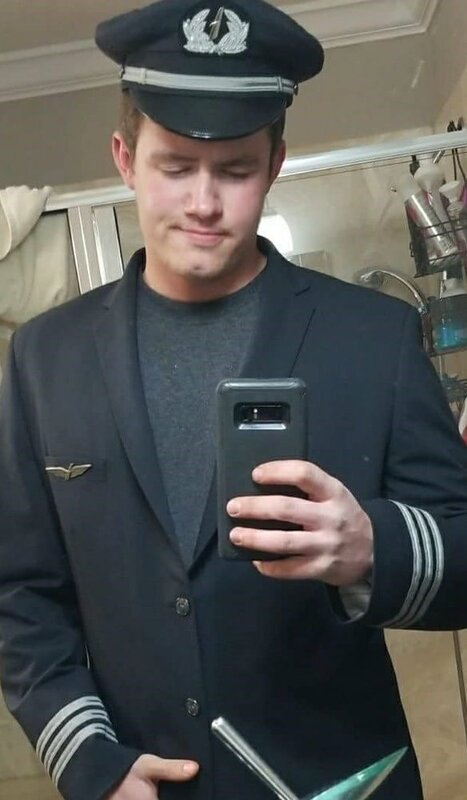 Jacob Alexander Metzger, age 20, died in the early hours of the morning on Friday, September 21, 2018 when the Cessna 150 he and his father, Michael Metzger, were flying crashed while trying to land in Festus, Missouri. Jacob was born on June 20th, 1998 in Seattle, Washington. From an early age, two things were clear: he loved his friends and family, and he was going to be a pilot. He always knew how to light up a room, and could tell when you needed a hug or a shoulder to cry on. He was always a hardworking kid, whether it was with Maxwell Construction, Texas Roadhouse, or at home fixing his trucks. Jake and his dad would spend entire days with each other, repairing and refurbishing cars, boats, and planes. He always said he was learning to become a pilot, just like his dad. Jacob had been preparing for flight school. The day before the accident, Jacob had piloted the plane himself for two hours, and said that it was the best two hours of his life. Thus it can only be said that Jacob died doing what he loved. He leaves behind a mother, Jane Taylor, and three siblings, Aly, JC, and Shane Metzger. A gathering for family and friends to celebrate Jacob’s life will be from 4 to 7 pm Tuesday, September 25, 2018, at Gay & Ciha Funeral and Cremation Service in Iowa City. Per his expressed wishes, his remains will be buried with his father’s in Buffalo, NY. To share a thought, memory or condolence please visit the funeral home website @ www.gayandciha.com. Jacob was posthumously granted admission to the American Airlines Cadet Academy. He has finally earned his wings. JEFFERSON COUNTY • Police have identified a father and son who were killed in a plane crash Friday near Festus after electrical problems made it hard for them to see the runway. The sheriff's office identified them as Michael G. Metzger, 56, of Hillsboro and his son, Jacob A. Metzger, 20, through dental records. Jacob Metzger lived in Iowa. Michael Metzger, a pilot for American Airlines, had been flying the small plane back from New York to refurbish in Festus, where they had a hangar, when the plane crashed about 2 a.m. Friday about 200 to 300 yards from the runway. Before trying to land, Metzger texted his fiancée and asked her to stand with flashlights on the runway so he could see where he was going, according to police. The two were texting back and forth, police said. Police said lights at the airport are not on throughout the evening, but pilots can activate something on their radios to turn the lights on once they get close. Without electrical power, the pilot could not activate the lights. FESTUS, Mo. (KMOV.com) -- An airline pilot and his son were killed Thursday night when their small plane crashed near the Festus Memorial Airport after a mechanical failure. Authorities haven’t released the names of the father, who was in his mid-50s, and his son, who was in his early 20s. Festus Memorial Airport Vice President Mike Bippen told News 4 the pilot was very experienced. "With him being an American Airlines pilot, I mean he's probably got more hours than all of us put together," said Bippen. According to the Jefferson County Sheriff’s Department, the father and son were returning with a Cessna 150 they had purchased in New York which the son planned to use as he pursued a pilot’s license. At some point in the flight, the plane lost all electrical power. "If he had lost his whole electrical system he wouldn't be able to see inside the cockpit at night. He wouldn't be able to see what his airspeed is, his elevation, you know the heading,” said Bippen. Like most small airports, Festus Memorial Airport isn’t staffed 24 hours a day and the lights are turned off at night. Pilots can remotely turn them on by clicking the microphone of their radio six times. But the pilot of the Cessna couldn’t do that because of the mechanical problems. "He texted his fiancée to respond out here to assist in either getting the lights on for the runway or to use a flashlight to indicate the end of the runway,” said Corporal John Kozel with the Jefferson County Sheriff’s Department. Kozel said the fiancé went to the airport but couldn’t get the lights on, so she stood at the end of the runway with a flashlight. He said the plane attempted to land but was offline, then crashed as it tried to circle back around for a second attempt. The plane went down around 10:30 p.m. in a heavily wooded area. During the night, a search was suspended because of the weather but the plane was discovered Friday morning around 7:40 a.m. by a helicopter from Mercy Hospital, which was aiding in the search. "It's just sad, tragic deal for a nice person and his son to pass this way," said Bippen. Investigators with the Federal Aviation Administration arrived Friday morning and an investigator with the National Transportation Safety Board was expected to arrive Friday night or Saturday morning. JEFFERSON COUNTY • A father and his adult son were killed in a plane crash near Festus after electrical problems made it hard for him to see the runway, authorities said Friday morning. Before trying to land, the pilot even texted his fiancée and asked her to stand with flashlights on the runway so he could see where he was going, police say. The single-engine Cessna 150 crashed about 200 to 300 yards from the runway, said Mike Bippen, vice president of CAEE, which runs the airport. There were no survivors, he said. The names of the dead haven’t been released. The father was in his 50s and an American Airlines pilot from the Jefferson County area. His son was in his 20s, Bippen said. The father and son were bringing a plane back from New York. They planned to refurbish it in Festus, where they had a hangar. Jefferson County Sheriff Dave Marshak said the pilot had reported electrical issues Thursday night. Authorities had been searching for the plane for several hours when they found the wreckage before 8 a.m. Friday. Marshak said the pilot’s fiancée called police at 2 a.m. Friday. The pilot had contacted her from the plane when he was having electrical problems. Marshak said lights at the airport are not on throughout the evening, but pilots can activate something on their radios to turn the lights on once they get close. Without power, the pilot could not activate the lights. He asked the woman to stand at the end of the runway with a flashlight so he could try to see where to go, the sheriff said. The man and woman were texting back and forth, Marshak said. Police tried to get a helicopter in the air for a search but rain hampered that effort. They began a ground search Friday morning. On the south end of the airport, they found the plane in woods near Joachim Creek. Bippen, the airport executive, said the father was an experienced pilot for American Airlines. “So he had plenty of hours of flying,” Bippen said. Sadly all these hours on big airliners do not count a lot when flying in a small GA plane. A light at the end of the runway will not do the job for a safe and successful landing at an airfield without activated runway lights. Not sure if it was a good idea to go on a NVFR cross country flight with a plane that was only bought recently. My condolences to the family of the deceased. Complacency kills another high time pilot - always carry a flashlight to illuminate the panel in case your electrical system goes down, as well as a hand held radio to activate the runway lights and to talk with. Sad, especially since the son was just starting to follow in his dad's career. We can all Monday morning quarterback this one but we've all done something equally as careless but they tragically didn't get away with it. The road to hell is paved with good intentions. Lost electrical power, possibly low on fuel or unknown quantity, bad weather, no navigation, night time. Problems add up in a hurry. Another sad tale of "Getthereitis"! They would have passed within a few miles of Scott AFB, about 35 miles northeast of Festus. Also available in the area are St Louis Downtown Airpark and Chesterfield Spirit of St Louis Airport, each about 35 miles from Festus, and Lambert Field, about 40 miles. I had a friend in high school who's dad, a very accomplished pro pilot for a commercial carrier and Fed Ex, was part of an expedition to rescue WWII planes from under the ice in Greenland, ended up being killed in a Cub on a severe clear day along with a friend less than 100 miles from home. My flight instructor, when describing Piper Cubs and 150's described them as very docile, easy to fly and stable machines that would just barely fly fast and high enough to kill you. Many condolences to those in this accident. The demands of aviation are relentless and only require once to be final. I flew my 172 from Tampa to San Diego and had the radio crap out on me 1/3 into it. Thankfully have 3 flashlights and a portable radio besides only flying day vfr. I only have 500 hrs compared to this ATP.. so was this guy overconfident? Macho/invulnerability would be 2 of the hazardous attitudes here. Every cellphone is a flashlight. So according to the new pieces of information he was aware of his electrical problem already BEFORE embarking on the accident flight. Then he ordered his fiancée to the runway end with a flashlight. On top of that not much fuel left in the plane...?! I believe it was mentioned that two flashlights were recovered from the wreckage. I feel very badly for those two guys. It sounds as if they were prepared for the flight with flashlights, a tablet, and cell phones. They even made arrangements for the runway lights to be on, which sadly didn't happen. They would've made it had those lights been on. A go-around finally burned up the last of the fuel, apparently, and there was no place to go but into the woods. As a young private pilot, I flew TWO cross country trips wherein I burned ALL of the usable fuel in the C150 I was flying. TWICE! It scared me, and afterwards I always made precautionary fuel stops when the plane was down to one hour of fuel left. Their final flight could've been my own. @Botajet - No WE have not all done something this careless. Sure we all make mistakes but we can't all be lumped into the careless category. For a new-plane ferry flight like this, should be planned to be mostly on day hours. Now we know they had two or more flashlights, portable radio etc., so they were prepared. But the decision to continue this flight at night with known electrical deficiencies, that definitely started the famous "chain of events", and was avoidable. When they were already on the situation, at night, with count fuel, they must have had deviated from their final destination and spend the night somewhere. That could have broken the chain of events. --3 types of flashlights, one on my belt, one on aircraft's pocket and a little one of the clip type on my headset. --A GPS in addition of the one in the cockpit. --An 'Evac-U8' Smoke Escape hood(like a soda can) in the back pocket just in case fire/smoke. --A constant-wear life vest anytime I flight over water. You don't wear a softie when you fly? Reckless. "She reported that the airplane was landing from the north to runway 10"
"FES has one asphalt runway, 10 and 19"
Both statements are in error or contradiction. I enjoy the 152 and the others. They are all different. When the fuel gauges indicate 1 hour of fuel left I am in the descent to the next fuel stop. I do not like the stress of operating otherwise. Those gauges are only relative indicators at best. Fill both sides evenly and check with a fuel stick. Even after that rarely do each one read exactly the same, sometimes 20% different. It is hindsight, but this was avoidable. Come to think of it, if they had no alternator and/or battery left then there would have been no electricity for the fuel gauges to make an indication. At that point the fuel remaining would be an estimate by calculation.